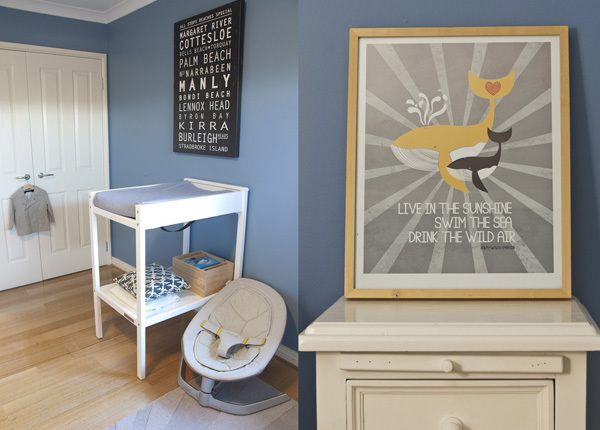 With a surfer dad and a mum who loves to feel the sand under her feet, it’s only natural that Elliot’s nursery would have a definite nautical influence! 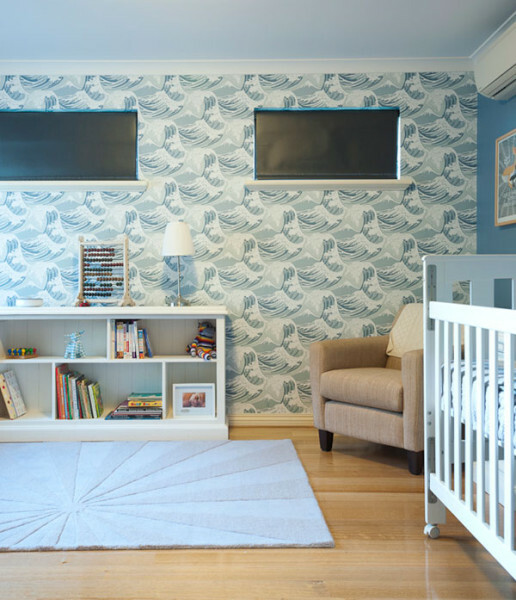 This family moved from London to Perth only three months before Elliot entered the world, which meant the nursery couldn’t come together until they had settled in Australia. Still, Elliot’s mum Corinne wasn’t one to let an international move in her third trimester hold her back from some of the planning and purchasing! 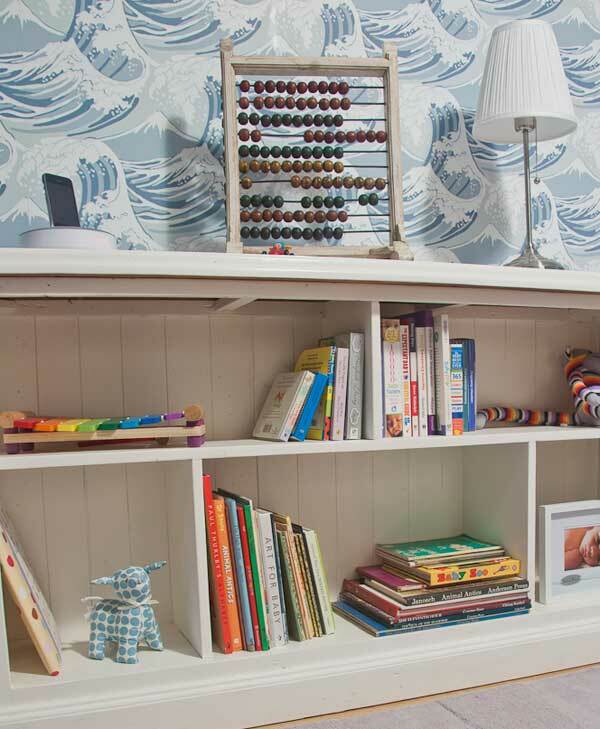 Corinne writes: I have always loved the beach and Elliot’s Dad is a keen surfer so when I found a wallpaper based on Hokusai’s print The Great Wave this became the feature that we based everything else around. Our aim was to create a room that was calm and classic. We wanted a space that could grow as Elliot did. 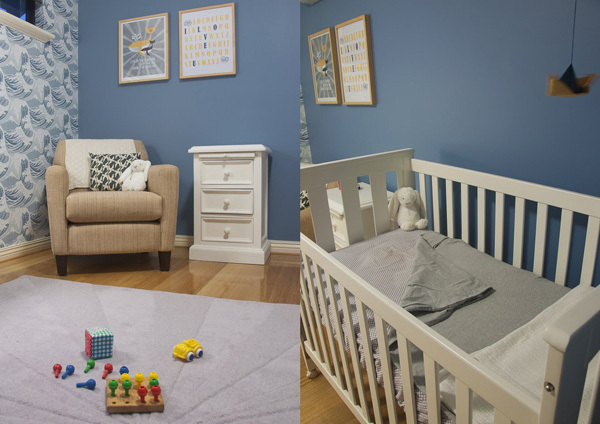 We mixed pieces that are playful and sweet with a few bolder items in the hope that the latter would still be around as the room changes from nursery into a “big boys room”. I kept the colour palette simple & neutral with blues and grey. White furniture added to the beachy feel. We had some second hand furniture which we mixed with new items I added a few personal touches by making a mobile out of origami boats and the whale picture hanging above the chair. Elliot’s Nan is handy with a sewing machine and she made all the linen for his room.